Validation – everyone needs some! I attached the link to an article of recent technologies for pain management. One of the more interesting ones was the Actipatch. I plagiarized the article below. What is interesting about this device is it is OTC and is an electroceutical agent that produces signals at 1 KHz into painful tissues to dampen pain perception. Patients are unable to sense the stimulus, unlike with standard TENS units! Release Date: Will be featured at Pharmacy Week in Trinidad and Tobago, October 16th to the 23rd, 2016. About this technology: Actipatch is a non-invasive, electroceutical device which uses electromagnetic fields to modulate efferent nerve activity, dampening the brain’s perception of pain. The device pulses signals at 1 kHz into the painful tissue, preventing the brain from adapting to the stimulus. Efficacy: Completed clinical trials indicate device efficacy in reducing pain (including musculoskeletal, postoperative, and menstrual pain), and restoring normal function, such as allowing people to get a full nights’ sleep, in many patients. A trial published in Pain Management showed that out of 5002 study participants who provided feedback after testing the ActiPatch, efficacy rate varied from 59% to 71% for different pain conditions, with an average of a 50% reduction in medication use (including prescriptions).3 Sixty seven percent of study participants reported that they were able to eliminate or reduce opioid use, 70% reported improved sleep, and 74% reported that they could be more physically active. According to Ken McLeod, PhD, Director of Clinical Science and Engineering at Binghamton University, patients using ActiPatch do not feel any tingling, heat, or vibration, unlike with TENS. It is currently the only neuromodulation electroceutical device available over-the-counter for managing chronic pain. It is safe to use with metal implants, pacemakers, and defibrillators, as well as in diabetics, arthritics, and the elderly. It is not for use in pregnant women. It allows for 720 hours of use and has an on/off switch. This trial aimed to test the effectiveness of a wearable pulsed electromagnetic fields (PEMF) device in the management of pain in knee OA patients. Methods. In this randomized [with equal randomization (1:1)], double-blind, placebo-controlled clinical trial, patients with radiographic evidence of knee OA and persistent pain higher than 40 mm on the visual analog scale (VAS) were recruited. The trial consisted of 12 h daily treatment for 1 month in 60 knee OA patients. The primary outcome measure was the reduction in pain intensity, assessed through VAS and WOMAC scores. Secondary outcomes included quality of life assessment through the 36-item Medical Outcomes Study Short-Form version 2 (SF-36 v2), pressure pain threshold (PPT) and changes in intake of NSAIDs/analgesics. Sixty-six patients were included, and 60 completed the study. After 1 month, PEMF induced a significant reduction in VAS pain and WOMAC scores compared with placebo. Additionally, pain tolerance, as expressed by PPT changes, and physical health improved in PEMF-treated patients. A mean treatment effect of 0.73 (95% CI 1.24 to 0.19) was seen in VAS score, while the effect size was 0.34 (95% CI 0.85 to 0.17) for WOMAC score. Twenty-six per cent of patients in the PEMF group stopped NSAID/analgesic therapy. No adverse events were detected. These results suggest that PEMF therapy is effective for pain management in knee OA patients and also affects pain threshold and physical functioning. Future larger studies, including head-to-head studies comparing PEMF therapy with standard pharmacological approaches in OA, are warranted. 84% reported a moderate to a great deal better quality of life. a-uk-registry-study-of-the-effectiveness-of-a-new-otc-chronic-pain-therapy < Another study link of an article demonstrating the effectiveness of this therapy. Background: The ActiPatch® (BioElectronics Corporation, MD, USA) pulsed shortwave therapy device has been shown to be clinically effective in three double-blind randomized controlled pain studies. However, the effectiveness of this device in a broader population of chronic musculoskeletal pain sufferers, affected by a variety of etiologies in different regions of the body, has not been studied. Aim: The objective of this registry study was to assess the effectiveness and satisfaction of the ActiPatch device in the general population of chronic pain sufferers. Methods: A total of 44,000 subjects completed the trial, with 5000 assessments of the device collected. Conclusion: The ActiPatch device appears to provide a clinically meaningful reduction of chronic musculoskeletal pain affecting different locations of the body caused by a variety of etiologies. ● Musculoskeletal pain is widespread in the community. ● Wearable pulsed shortwave therapy is a new over-the-counter pain therapy in the UK and has not been shown to have any significant side effects, even in the elderly or subjects with diabetes. ● This registry study included 44,000 subjects who tried the device, with 5000 submitting an assessment.
. ● Current pain modalities appear to be inadequate and ineffective for many individuals.
. ● The average pain reduction reported in these individuals was 57%. ● The 3-month follow-up showed sustained pain relief, decreased oral analgesic medication use and quality of life improvement. ● Pulsed shortwave therapy offers a new alternative safe chronic pain therapy. Plantar fasciitis is a common cause of heel pain, and although treatments are usually conservative, they can take up to 2 years to achieve resolution. A double-blind, multicenter, randomized, placebo-controlled study was used to evaluate a small, wearable, extended-use pulsed radiofrequency electromagnetic field (PRFE) device as a treatment of plantar fasciitis. A total of 70 subjects diagnosed with plantar fasciitis were enrolled in the present study. The subjects were randomly assigned a placebo or active PRFE device. The subjects were instructed to wear the PRFE device overnight, record their morning and evening pain using a 0- to 10-point visual analog scale (VAS), and log any medication use. The primary outcome measure for the present study was morning pain, a hallmark of plantar fasciitis. The study group using the active PRFE device showed progressive decline in morning pain. The day 7 AM-VAS score was 40% lower than the day 1 AM-VAS score. The control group, in comparison, showed a 7% decline. A significantly different decline was demonstrated between the 2 groups (p ¼ .03). The PM-VAS scores declined by 30% in the study group and 19% in the control group, although the difference was not significant. Medication use in the study group also showed a trend downward, but the use in the control group remained consistent with the day 1 levels. PRFE therapy worn on a nightly basis appears to be helpful. Although this was an observational study and there were no controls, the results are very encouraging. Whilst patients undergoing a single implant can recover quickly, most patients who have multiple implants normally need to take strong analgesics and many are unable to resume normal daily activities for a number of days post-operatively. Follow up at 24-48 hours post-op showed that all patients who used RecoveryRx Therapy could resume normal masticatory function. This would not normally have been possible at this stage of recovery. Further studies are needed to objectively study the observed beneficial effects in dental implant patients; even greater benefit may have been observed if the device had been used continuously and not for just twelve hours. It is difficult to avoid the conclusion that, in an area that is normally very painful and swells easily after surgery, the RecoveryRx Therapy provided clinically meaningful benefit. Abstract. This is a preliminary report of the use of a device to apply small pulses of radio-frequency energy to surgical wounds in order to improve wound healing. The device was applied to one eye in 21 patients who underwent bilateral blepharoplasty. There were no devicerelated complications. In l l patients, edema and ecchymosis were noticeably less on the treated side within 24 hours of surgery. In 6 patients, ecchymosis and swelling were so slight that no difference between treated and untreated sides was visible. Two patients were noticeably worse on the treated side. Further studies will be conducted. Ronald W. Davis, PhD, director of Stanford Chronic Fatigue Syndrome Research Center of Stanford University School of Medicine commented on the findings of Dr Naviaux’s group on the the Open Medicine Foundation website, where he serves as director of the Scientific Advisory Board. More than 2 million people in the United States have myalgic encephalomyelitis/chronic fatigue syndrome (ME/CFS). We performed targeted, broad-spectrum metabolomics to gain insights into the biology of CFS. We studied a total of 84 subjects using these methods. Forty-five subjects (n = 22 men and 23 women) met diagnostic criteria for ME/CFS by Institute of Medicine, Canadian, and Fukuda criteria. Thirty-nine subjects (n = 18 men and 21 women) were age- and sexmatched normal controls. Males with CFS were 53 (±2.8) y old (mean ± SEM; range, 21–67 y). Females were 52 (±2.5) y old (range, 20–67 y). The Karnofsky performance scores were 62 (±3.2) for males and 54 (±3.3) for females. We targeted 612 metabolites in plasma from 63 biochemical pathways by hydrophilic interaction liquid chromatography, electrospray ionization, and tandem mass spectrometry in a single-injection method. Patients with CFS showed abnormalities in 20 metabolic pathways. Eighty percent of the diagnostic metabolites were decreased, consistent with a hypometabolic syndrome. Pathway abnormalities included sphingolipid, phospholipid, purine, cholesterol, microbiome, pyrroline-5-carboxylate, riboflavin, branch chain amino acid, peroxisomal, and mitochondrial metabolism. Area under the receiver operator characteristic curve analysis showed diagnostic accuracies of 94% [95% confidence interval (CI), 84–100%] in males using eight metabolites and 96% (95% CI, 86–100%) in females using 13 metabolites. Our data show that despite the heterogeneity of factors leading to CFS, the cellular metabolic response in patients was homogeneous, statistically robust, and chemically similar to the evolutionarily conserved persistence response to environmental stress known as dauer. Chronic fatigue syndrome is a multisystem disease that causes longterm pain and disability. It is difficult to diagnose because of its protean symptoms and the lack of a diagnostic laboratory test. We report that targeted, broad-spectrum metabolomics of plasma not only revealed a characteristic chemical signature but also revealed an unexpected underlying biology. Metabolomics showed that chronic fatigue syndrome is a highly concerted hypometabolic response to environmental stress that traces to mitochondria and was similar to the classically studied developmental state of dauer. This discovery opens a fresh path for the rational development of new therapeutics and identifies metabolomics as a powerful tool to identify the chemical differences that contribute to health and disease. Journal of Addiction Article on assessing the validity of online drug forums < Article link. Online drug forums do help determine temporal trends in drug abuse. Objectives: Addiction researchers have begun monitoring online forums to uncover self-reported details about use and effects of emerging drugs. The use of such online data sources has not been validated against data from large epidemiological surveys. This study aimed to characterize and compare the demographic and temporal trends associated with drug use as reported in online forums and in a large epidemiological survey. Methods: Data were collected from the Web site, drugs-forum.com, from January 2007 through August 2012 (143,416 messages posted by 8087 members) and from the US National Survey on Drug Use and Health (NSDUH) from 2007 to 2012. Measures of forum participation levels were compared with and validated against 2 measures from the NSDUH survey data: percentage of people using the drug in past 30 days and percentage using the drug more than 100 times in the past year. Results: For established drugs (eg, cannabis), significant correlations were found across demographic groups between drugsforum.com and the NSDUH survey data, whereas weaker, nonsignificant correlations were found with temporal trends. Emerging drugs (eg, Salvia divinorum) were strongly associated with male users in the forum, in agreement with survey-derived data, and had temporal patterns that increased in synchrony with poison control reports. Conclusions: These results offer the first assessment of online drug forums as a valid source for estimating demographic and temporal trends in drug use. The analyses suggest that online forums are a reliable source for estimation of demographic associations and early identification of emerging drugs, but a less reliable source for measurement of long-term temporal trends. Objectives: Bupropion use to obtain nonmedical psychoactive effects has been reported. 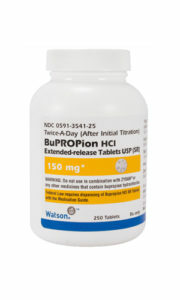 The objective was to determine the prevalence, characteristics, clinical effects, and outcomes of bupropion ‘‘abuse.’’ Methods: A 14-year retrospective review was conducted of single substance bupropion cases with ‘‘intentional abuse’’ as the coded reason for exposure in individuals 13 and older reported to the National Poison Data System. Data were evaluated for prevalence, demographics, clinical effect, route, final management site, and coded outcome. Results: There were 975 bupropion abuse cases, which accounted for 3.3% of single substance bupropion cases reported to US poison centers. The prevalence of abuse increased by 75%, from 2000 to 2012, declining slightly in 2013. The majority of cases were 13 to 29 years old (67.4%). The most frequent clinical effects were tachycardia (57.0%), seizures (33.5%), agitation/irritable (20.2%), hallucinations/delusions (14.0%), and tremor (13.1%). Most exposures were ingestions (745) followed by insufflation (166), parenteral (17), and other/unknown (17); 30 cases involved 2 routes. Seizure frequency was not significantly different between routes (P ¼ 0.783) or exposure chronicity (P ¼ 0.264). Final management sites were predominantly emergency department (36.9%) and admission to critical care unit (27.3%) or noncritical care unit (20.1%). Outcomes were major (11.4%), moderate (48.2%), minor (24.5%), and no effect (15.5%). There were 4 deaths. Conclusions: Most bupropion abuse occurs in adolescents and young adults. Tachycardia and seizures are common indicating the potential for serious effects. Seizures occur regardless of route. Providers should be aware of risk of bupropion abuse. Objectives: To compare maternal characteristics, prenatal care, and newborn outcomes in a cohort of opioid-dependent pregnant women treated with methadone versus buprenorphine. Methods: In a retrospective cohort study, 609 pregnant, opioiddependent women were treated with methadone (n = 248) or buprenorphine (n = 361) between 2000 and 2012 at a single institution. Results: Mothers treated with buprenorphine were more likely to start medication before or earlier in pregnancy, had longer gestation, and gave birth to larger infants. Newborns of buprenorphine- versus methadone-maintained mothers required treatment for neonatal abstinence significantly less often and for a shorter duration. Conclusions: These data suggest pregnancy outcomes with buprenorphine to treat opioid dependence during pregnancy in clinical practice are as good and often better than outcomes with methadone. These results are consistent with efficacy data from randomized clinical trials and further support the use of buprenorphine for the treatment of opioid dependence during pregnancy.